Enjoy healthy, clean water with our Basic filtration. 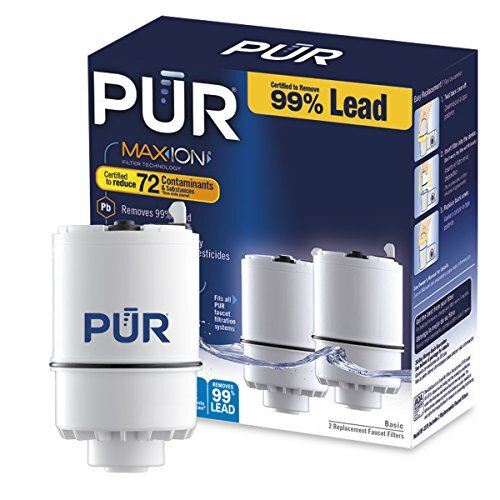 Our unique, premium carbon water filter is certified to reduce lead, mercury, chlorine (taste and odor) and many other contaminants. It also removes 99% of trace levels of pharmaceuticals. * Yet it still leaves behind beneficial fluoride. Enjoy clean, great tasting water right from your tap. * Pharmaceutical reduction is not certified by NSF/ANSI or state standard. Based on manufacturer testing for average reduction in trace levels of 12 pharmaceuticals. Pharmaceuticals may not be in all users’ water. View More In Faucet Mounts.